This post is a part of “Wonder of Nature” series sponsored by Stoneleigh Wines. 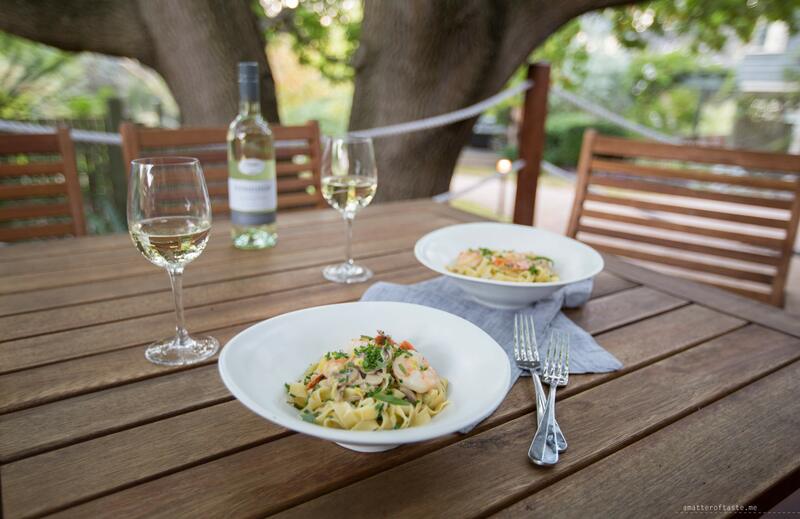 Over the next few weeks we’ll share with you some of our favourite “Wonder of Nature” trips destinations in Victoria and recipes for dinners carefully matched with Stoneleigh wines. 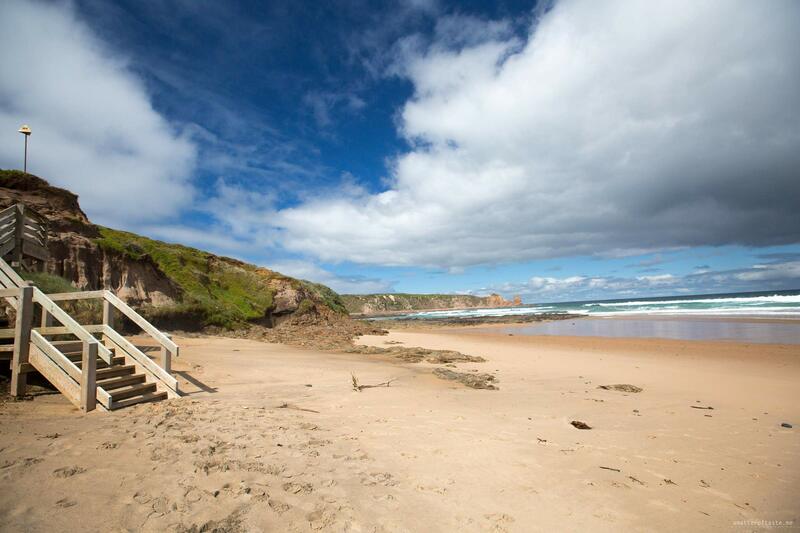 Phillip Island is located less than 2 hours drive south-east from Melbourne CBD. It is known for penguin parades and good surfing beaches. And until this trip it’s all I was able to tell you about Phillip Island. Now I can add: it is the most beautiful place in Victoria I’ve seen to date, with its breathtaking coastline and countless wildlife encounters. Our plan for the trip was simple: go for a long walk and enjoy the fresh ocean air. As soon as we left the car at Cape Woolamai car park, we were stunned. Nature decided to show off. 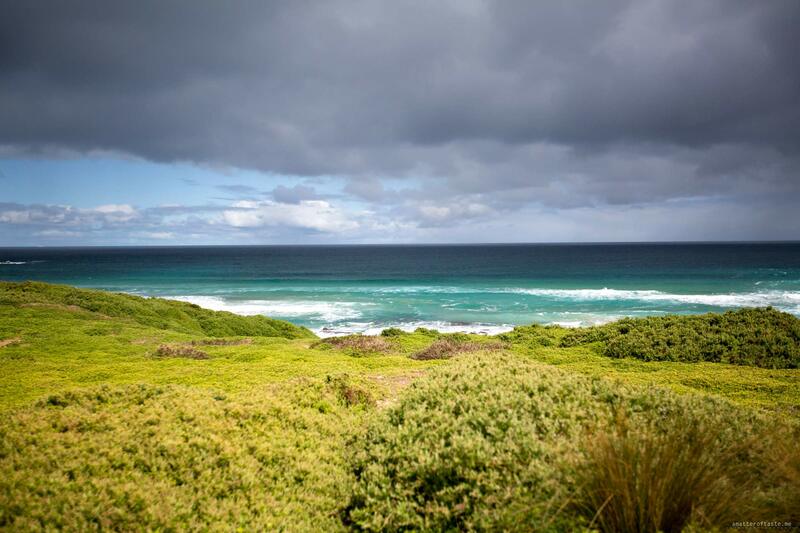 The light was perfect, the sky was dramatic and the dark stormy clouds seemed to be everywhere but Cape Woolamai. How’s that for the start of the trip? 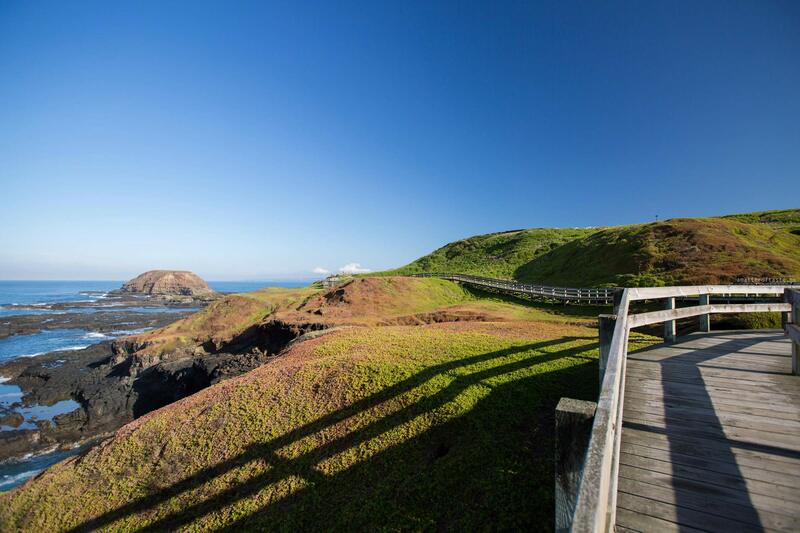 But what left us speechless and totally smitten was the place we visited the next morning – The Nobbies. Quite early in the morning, not a single cloud in the sky, delicate sea breeze, the sound of rolling waves and a golden glow of the sun. Tranquility. Coming back to the first day – after 3 hours walk, which was a mix of land, bush and beaches we were ready to sit back and relax (well, I was about to cook, so not much sitting back for me) over dinner and wine. To make things better (like they weren’t amazing already – great views, great photos, great company, beautiful B&B for the night) I promptly proceeded to step 1 of cooking with wine: poured a glass for myself. 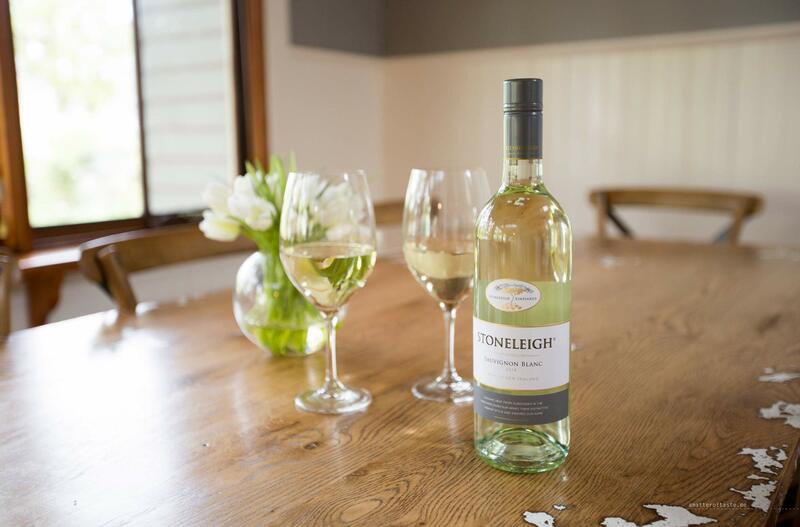 The wine accompanying our dinner was Stoneleigh Marlborough Sauvignon Blanc 2014 – vibrant with tropical fruit aromas. 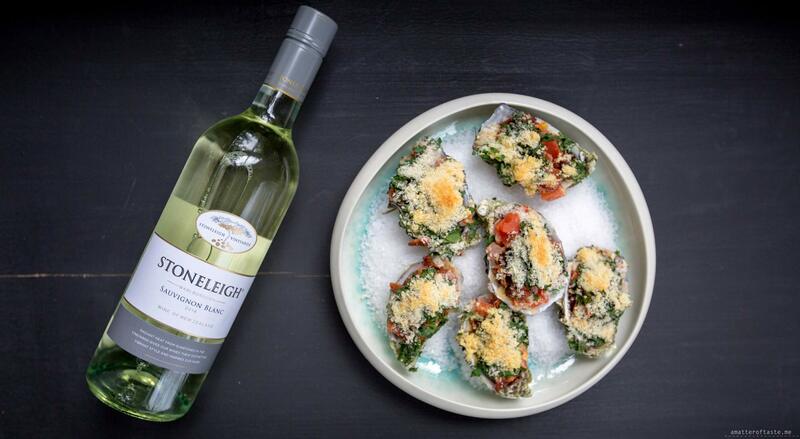 Where the distinctive vibrant style of Stoneleigh wines comes from is an interesting story too. On the northern side of the Wairau Valley in the Marlborough region, is a sub-region known as Rapaura – the home of Stoneleigh vineyards. Stones of all sizes were deposited there by the Wairau River over thousands of years. Today, Stoneleigh vines are planted among these stones, which are called sunstones. The sunstones reflect sunshine up into the vines and grapes, which intensifies their flavour. Like true Europeans, we’ve started our dinner quite early, which then lasted for hours. 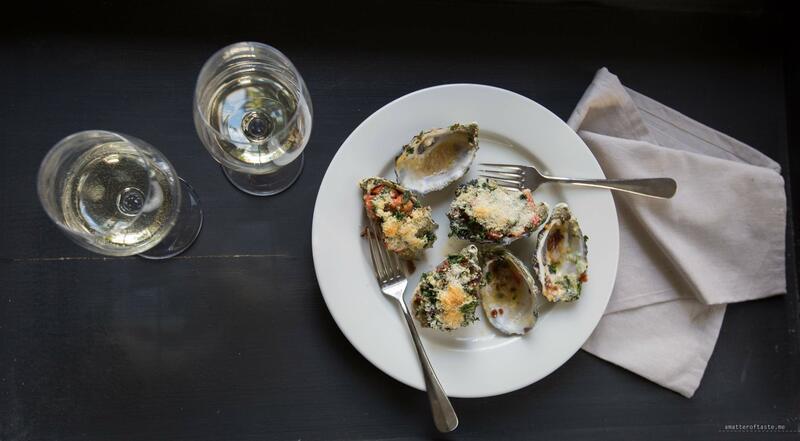 First on the menu were Oysters Rockefeller – there’s quite a lot of chopping involved in the preparations, but other than that, they’re very easy to make. 1. Place oysters, in shell, on a baking tray and grill (in an oven preheated to 220C) for about 5-8 minutes, until they start bubbling. 2. Top the oysters with butter (divide 25g between the 6 oysters) and season with salt and pepper. 3. Top each oyster with lemon juice, spinach & parsley, garlic, shallot, tomato, bacon, panko and cheese. 4. Return under to the oven for about 8 minutes, until cheese is melted and breadcrumbs are golden. The creamy pasta is a light but comforting dish, which we’ve cooked a few times already. During autumn, you may be able to buy fresh porcini mushrooms, which take this dish to another level. 1. Heat 1 tbsp olive oil in a large frying pan or wok over high heat. Add prawns and cook on both sides until light-pink. Transfer to a plate. 2. Reduce the heat to medium and add 1 tbsp olive oil to the pan/wok. Add garlic and leek. Stirring occasionally, cook until softened, about 5 minutes. 3. In the meantime, cook pasta until al dente. 4. Return prawns to the pan/wok, add mushrooms and cook for 2 minutes until softened (porcini will require few more minutes). Add wine and cook until almost evaporated. 5. Stirring continuously, add cream and wait until warmed, about 1 minute. Add cooked pasta and stir to combine. 6. Divide among plates and top each with chives & parsley. 7. For enhanced experience enjoy outdoors with a glass of wine.